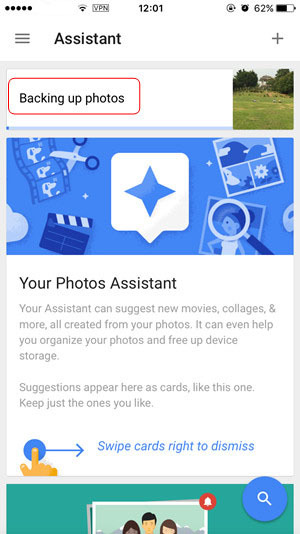 Google released its cloud-based photo-managing app, Google Photos, eventually. Google Photos is available in App Store and Google Play, so everyone interested is able to get it for free. This app enables users to back up photos and videos to the cloud, and more importantly, it provides unlimited free storage space for users to save photos and videos, and it also offers an assistant to help users manage their saved files. 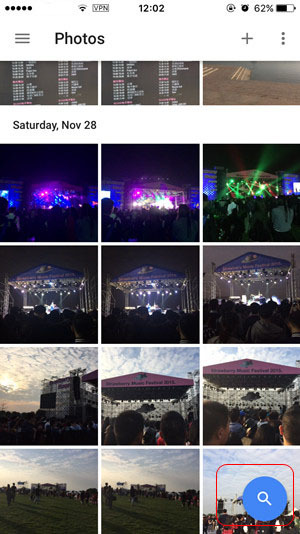 And the post aims to show you how to use Google Photos on iPhone if you are unfamiliar with the application. 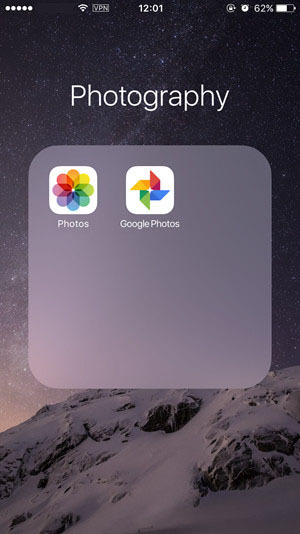 After downloading Google Photos on your iPhone, you can tap to start using Google Photos on iPhone. When you open it for the first time, the app will ask you to choose a backup option: High-Quality or Original. If you choose the High-Quality option, you’ll get unlimited free storage, and if you choose Original option, you will have 15GB for free use. Please note that if you choose High-Quality plan, the photos you back up should be smaller than 16MB in size, and all the photos larger than 16MB will be compressed. So if you want to upload a photo shot by your DSLR, you can choose the Original plan, but you may easily run out of storage. So as you can tell, Google Photos is a dual-way cloud service. You can sync the photos and videos between your iPhone and computer, and view them on all your devices with the Google account you use. When you are using Google Photos on iPhone, you can choose backup & sync only with Wi-Fi connection, so that you won’t use any cellular data. 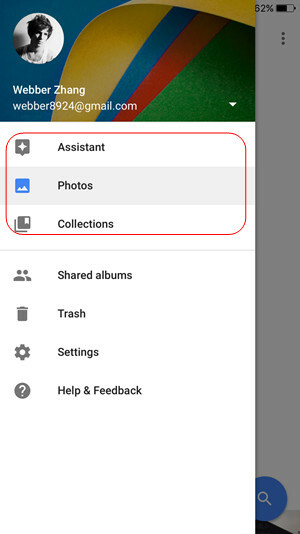 Moreover, Google Photos allows users to search the photos or videos they need in accordance with name, location, things, etc. If you are using Google Photos, you’ll get real benefit from this app, and if you are using a 16GB iPhone, you’ll even get more benefit. After backing up the photos and videos to Google, you can delete the original photos and videos on your iPhone to free up the storage space. And if you are running out of storage space with the Original plan on Google Photos, you can purchases more storage space, starting from $2 per month. Of course, Google Photos is a good app for backing up and syncing iPhone photos, it can be sometimes be troublesome because with the latest iPhone 6s and iPad Pro, people may have many 4K videos which can’t be backed up. Besides Google Photos, you can use the third-party iPhone transfer software to backup iPhone data with no efforts. 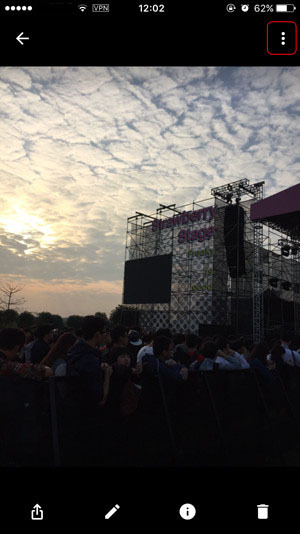 Among all the iPhone transfer programs, Leawo iTransfer is the best. 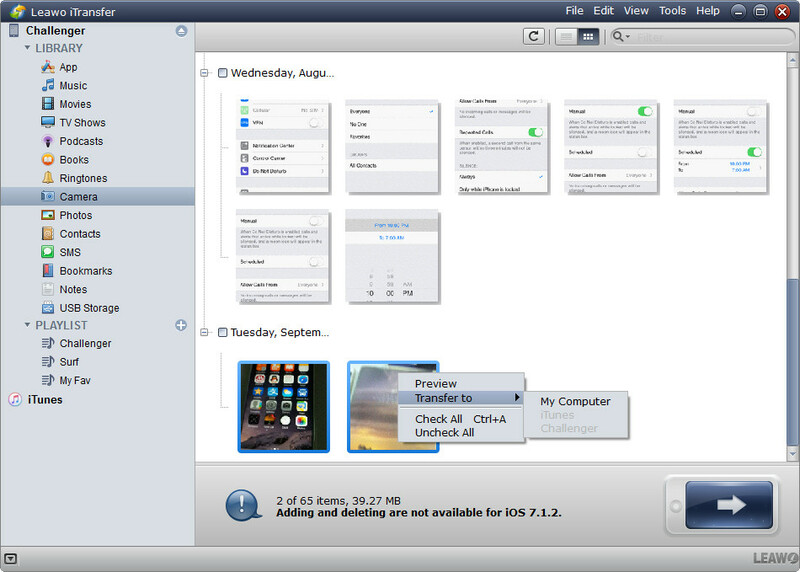 This software is used for transferring files among iOS devices, iTunes and computers without using iTunes. This software allows you to transfer various kinds of files, and it helps users to get rid of iTunes. The following guidance will show you how to Backup iPhone without iTunes, and you can free download the software to have a try. 1. 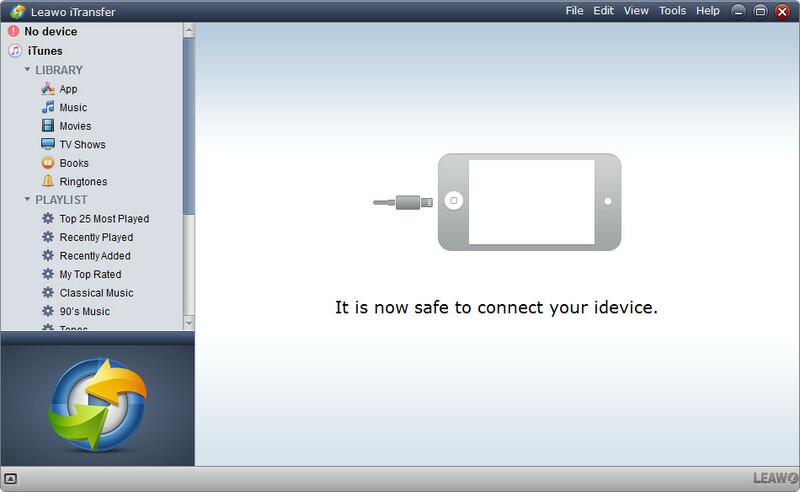 Run Leawo iTransfer and connect iPhone to computer with USB cable. The software will recognize your iPhone. 2. Click the Camere library in the left sidebar, and the contents will show up in the right part of the window. 3. Hold Ctrl/Shift key and click to select photos, and then click the transfer button at the right bottom. Or right-click a selected item and choose Transfer to > My Computer. 4. After selecting files, you’ll see a pop-up dialog. Check Save to Folder and click Change to choose a target folder on your computer to save the photos. Then click Transfer Now to start backing up iPhone photos to computer. When the transfer is finished, you’ll get the photos in target folder. 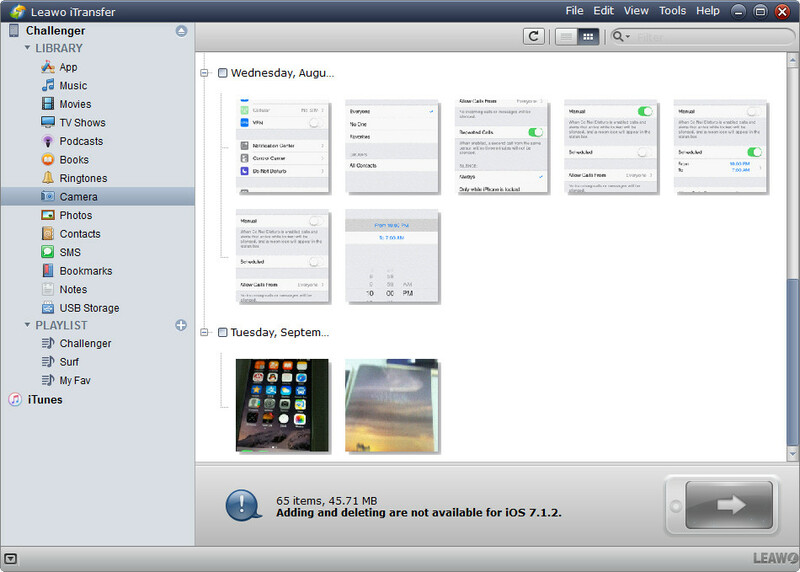 Leawo iTransfer will export the files in their original types, and they can manage the files with ease. This iPhone transfer software is also helpful for other kinds of data transfers for iPhone, iPad and iPod, for example, if you are going to transfer photos from iPhone to iPad, Leawo iTransfer willbe helpful. If you are interested in this software, just check it out.